"I had nightmares, flashbacks. I dissociated... Changes in self-perception and hallucinations-those are some of my other symptoms. You are poison, I chanted silently to myself. And your poison is contagious." 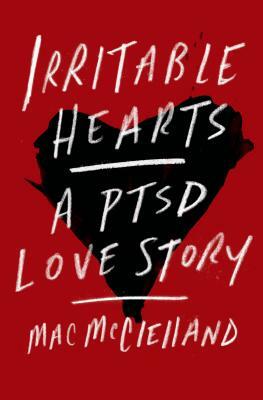 So begins Mac McClelland's powerful, unforgettable memoir, Irritable Hearts. When thirty-year-old, award-winning human rights journalist Mac McClelland left Haiti after reporting on the devastating earthquake of 2010, she never imagined how the assignment would irrevocably affect her own life. Back home in California, McClelland cannot stop reliving vivid scenes of violence. She is plagued by waking terrors, violent fantasies, and crippling emotional breakdowns. She can't sleep or stop crying. Her life in shambles, it becomes clear that she is suffering from Post-Traumatic Stress Disorder. Her bewilderment about this sudden loss of control is magnified by the intensity of her feelings for Nico, a French soldier she met in Port-au-Prince and with whom she connected instantly and deeply. With inspiring fearlessness, McClelland tackles perhaps her most harrowing assignment to date: investigating the damage in her own mind and repairing her broken psyche. She begins to probe the depths of her illness, exploring our culture's history with PTSD, delving into the latest research by the country's top scientists and therapists, and spending time with veterans and their families. McClelland discovers she is far from alone: while we frequently associate PTSD with wartime combat, it is more often caused by other manner of trauma and can even be contagious-close proximity to those afflicted can trigger its symptoms. As she confronts the realities of her diagnosis, she opens up to the love that seems to have found her at an inopportune moment. Irritable Hearts is a searing, personal medical mystery that unfolds at a breakneck pace. But it is also a romance. McClelland fights desperately to repair her heart so that she can give it to the kind, patient, and compassionate man with whom she wants to share a life. Vivid, suspenseful, tender, and intimate, Irritable Hearts is a remarkable exploration of vulnerability and resilience, control and acceptance. It is a riveting and hopeful story of survival, strength, and love. MAC MCCLELLAND is an award-winning journalist and author of For Us Surrender Is Out of the Question: A Story From Burma’s Never-Ending War. She’s appeared on major national and international media outlets such as MSNBC, PBS, NPR, Al Jazeera, Democracy Now, the BBC, CBC, and Deutsche Welle. She's won awards from the Society of Professional Journalists, the Hillman Foundation, the Online News Association, and the Society of Environmental Journalists; she’s been nominated for two National Magazine Awards for Feature Writing; and her work has been anthologized in the Best American Magazine Writing, Best American Nonrequired Reading 2011, and Best Business Writing.